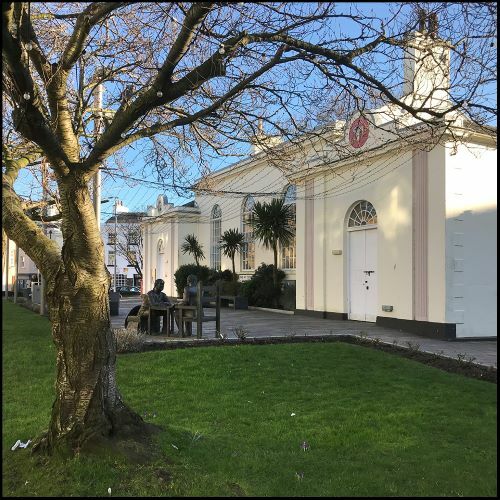 The Creative Network are delighted that a number of our artists have secured the Courthouse, in the heart of Ramsey, for an exhibition as a part of this year’s festival. Well known Northern artist, Michael Starkey, along with Frances Boyd, Cherie Collier, Katharine Cain and Rebecca Odessa, will be displaying their work in this significant building, recently purchased for the town by Ramsey Commissioners. The Courthouse, set in its own public gardens, cannot be missed as you travel down Parliament Street in Ramsey. Parking can be found in neighbouring streets or the car parks in St Paul’s Square or Market Place.